Magnesium – Women Do You Get Enough? I considered calling this Magnesium is the New Vitamin D. Why? Because in my practice, almost everyone takes vitamin D – and for good reasons because it is often low in your blood when you live at North American latitudes. However, I believe magnesium deficiency is far more common than vitamin D deficiency. And here’s what is also ironic – you also need sufficient magnesium to correct low vitamin D.
Here I hope to convey why it’s important to assess your potential need for magnesium, what kinds to take, and how much. Make your muscles and nerves function properly. Control blood sugar levels, and blood pressure. Control nerve impulse conduction, muscle contractions and heart rhythms. what are signs of magnesium deficiency? There are many signs, symptoms and associated conditions. Skim these lists and see if any apply. I bolded the ones that I see often in my female patient population. Abnormal heart beat, agitation, cardiac arrhythmia, depression, heart spasms, muscle cramps, spasms, twitches and weakness, numbness, seizures, sudden changes in behavior or personality, tingling, tremors. 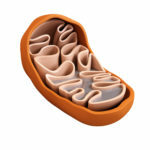 Aggression, anxiety, arrhythmias, calcium deposits in soft tissue, confusion, coronary artery disease, depressed immune response, hand or foot cramps, hearing loss, heart failure, high blood pressure including pre-eclampsia in pregnancy, irritability, light sensitivity, migraines, mitral valve prolapse, osteoporosis, pain, tinnitus, vertigo. ADD/ADHD, Alzheimer’s, angina, anxiety disorders, arrhythmia, arthritis (rheumatoid and osteo), asthma, autism, auto immune disorders, cavities, chronic fatigue syndrome, congestive heart disease, constipation, diabetes, fibromyalgia, hypoglycemia, insomnia, insulin resistance, kidney stones, menstrual pain, multiple sclerosis, obesity, Parkinson’s disease, PMS, Raynaud’s, thyroid disorders. Why is low magnesium so common? In Paleolithic times it’s estimated that people consumed 600 mg of magnesium per day from food. Now it’s estimated that in developed countries, for a 150 pound woman, magnesium intake from food is about 17 mg – which is far lower than 600 mg! Low intake of magnesium: foods green vegetables are the highest source, next is WHOLE grains, nuts and seeds. High intake of foods that lower magnesium: refined and processed foods, alcohol, soda. Less magnesium in foods because the soil is depleted. High incidence of diseases that lower magnesium, including type 2 diabetes and digestive disorders like colitis. Medications that lower magnesium: stomach acid blockers are the top, diuretics are another biggie. Sweating too much through saunas or athletics – think hot yoga. 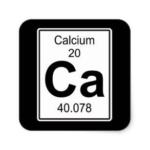 High intake of calcium through supplements or dairy. If you suspect a more serious deficiency that will actually show up. If you are concerned about bone levels. You can do a 24-hour urine test but it’s a pain and only measures excretion – which is more about how your kidneys are working. Testing red blood cell levels is a bit more accurate to see what inside cells, but it doesn’t show total body levels either. Really there is no easy lab that accurately measures this. So how do we get the right amount of magnesium? The RDA for adult women over 18 is 300-320 mg, and the Paleo amount is estimated at 600 mg. Many of us nutritionists think the RDA will go up at some point. The RDA is generally an amount to take to barely avoid a severe deficiency. So, not always the best standards to go with. You could actually get the RDA amount of magnesium and still have low grade or “subclinical” deficiency symptoms. My RDA for supplemental magnesium (beyond food) is 300-800 mg in at least two divided doses. This means a dose with each meal, or a dose at breakfast and dinner. Bedtime is another good time to take magnesium. How to determine where you fall on this dose range? If you eat a lot of green veggies, plus nuts and seeds, take the low end (300-400 mg) as a supplement. 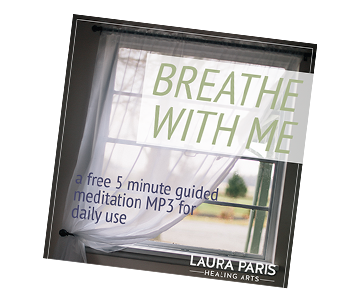 For higher doses, listen to your body. Do you feel stiff and have aches and pains, PMS, painful periods, low energy, anxiety, palpitations, or poor sleep? Do you have constipation or sluggish bowels (as in not pooping completely at least once per day)? If so, consider taking 600-800 mg. Back off if stools become loose – which is the classic sign of too much magnesium. Find the sweet spot for you. Any type of heart disease, high cholesterol, blood pressure or triglycerides. Use of diuretics or acid blocking medications. Excessive sweating from athletics, saunas, or hot weather. High stress, high pain, high carb diet (all deplete magnesium). Tissue repair after surgery or degeneration (like arthritis). Take magnesium in divided doses or it won’t get absorbed! With loose stools, back off. 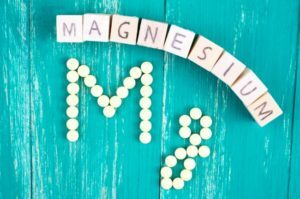 what is the best brand of magnesium to take? Hands down, Albion labs makes the best magnesium, in a chelated form. They distribute it to various supplement companies. My favorites are Douglas Amino Mag, Design’s for Health Buffered Magnesium Chelate which also comes in this powder, or ProThera powder. Any brand that uses Albion labs magnesium is good. This is an area you may be puzzled about, as there are many forms of magnesium, at different price points. A few of them specifically act as a laxative by drawing water into your bowels. Examples include sulfate, citrate, and chloride. I do not recommended using these types orally on a daily basis. Why? Because increasing water in your stool (especially to the point of loose stool or diarrhea) will actually deplete your magnesium stores! It’s not a fix to chronic deficiency. In fact, often when your tissue stores of magnesium are repleted (filled up), you will then feel the true effects of sufficient magnesium – such as pooping regularly, a reduction of aches and pains, better energy, and much easier periods. So avoid citrate, sulfate, and chloride as daily supplements. Also avoid carbonate, because it’s very poorly absorbed. The exception to sulfate is that magnesium sulfate is an excellent type to absorb through your skin, such as in topical gels, epsom salt baths, or essential oil rollers. Orotate – special benefits for heart health. L-threonate – benefits for brain health. Malate – can be useful for fibromyalgia. And, If you do have a chronic magnesium deficiency, it can take up to 6 months to feel the effects of restoring your tissue levels. I welcome any input below!